Our final day went by WAY too fast! I hated to leave all the new friends I had made and I was really enjoying painting all day – the inspiration was flowing like crazy and I just didn’t want to leave! 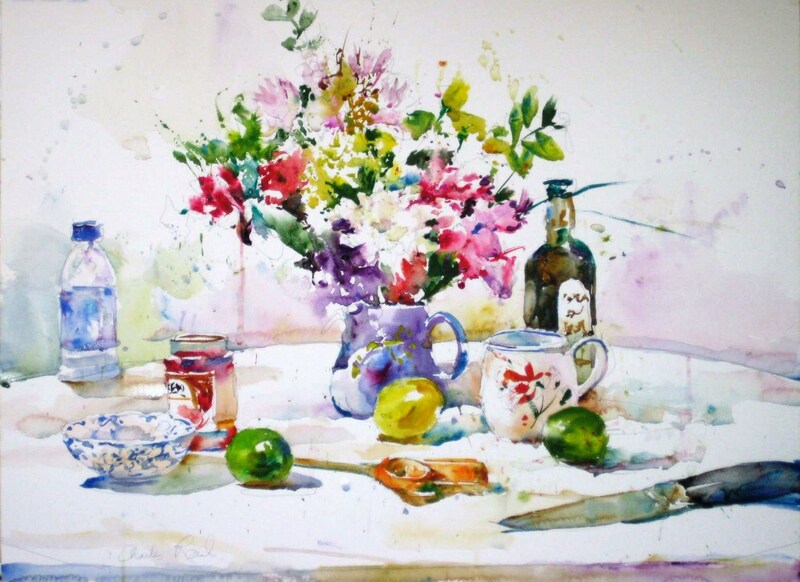 I didn’t know what we were going to do on the last day – I just thought we would continue painting from photographs, so I was in for a big surprise when Charles set up a beautiful still life to paint from. Watching him paint shadows was great and I learned a lot from this demonstration. 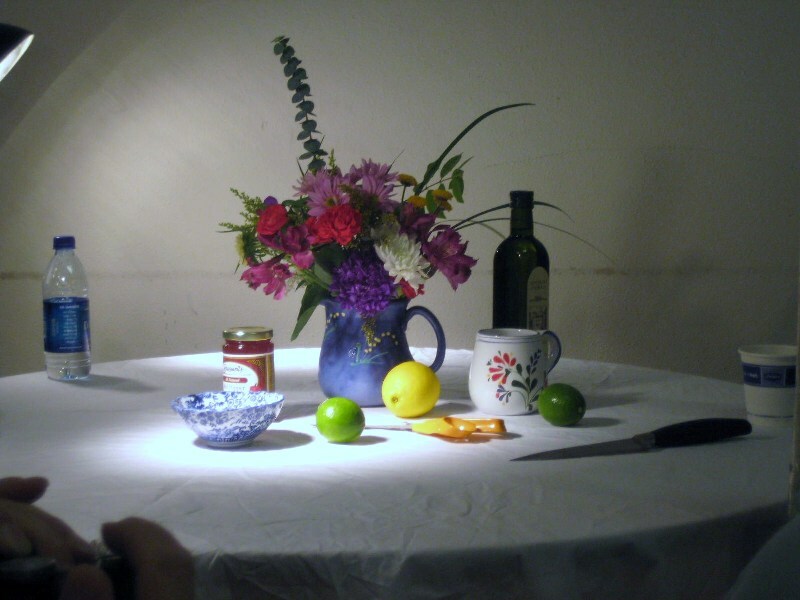 After he painted we broke for lunch and then they did 3 different tables of still life set ups for us to paint from. I SOOOO wanted to paint one of them since I was so inspired by what Charles painted, but I had to work on my black and white photograph painting because I really needed Charles to help me. 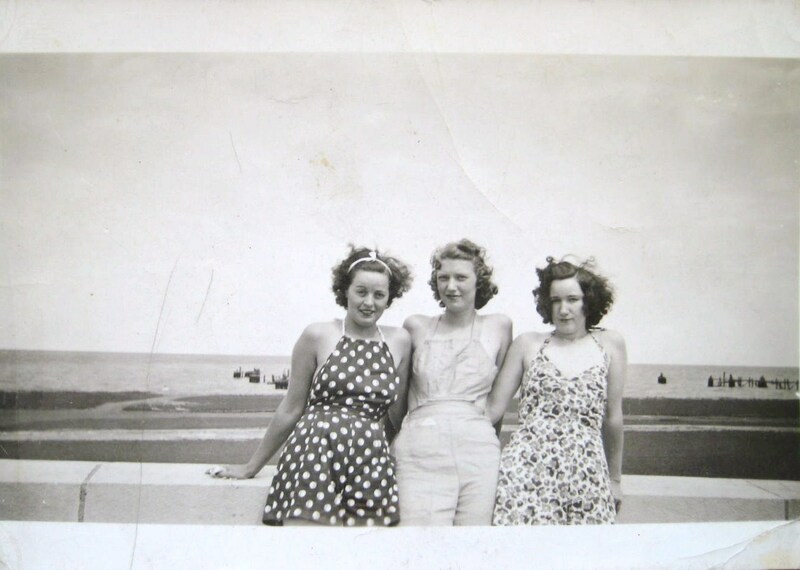 The picture I brought to paint from is one of my all time favorite pictures of my grandmother – she’s the one on the end (right side). 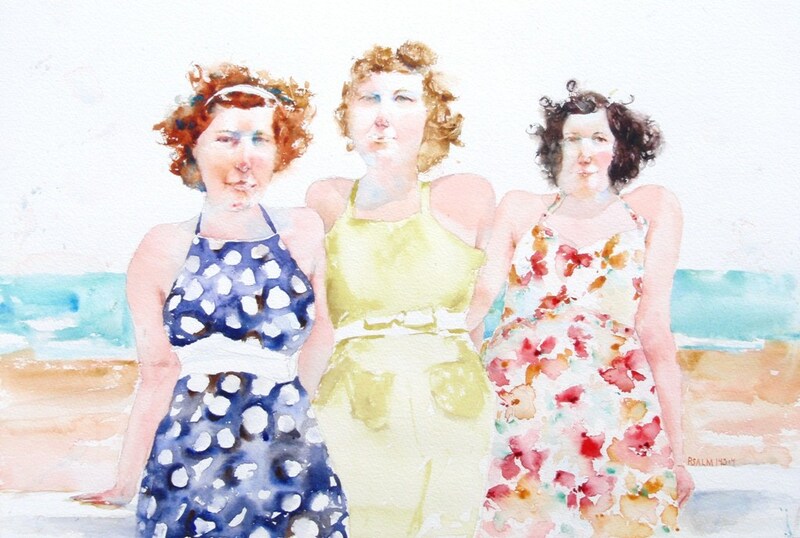 I love the ladies hair do’s and their dresses are so much fun in this photograph- they were a lot of fun to paint too – since I didn’t know what color their dresses were it was a lot of fun to make that up! I finally finished the painting after working on it several more days after I got home. I’m fairly pleased with it – there’s lots that could be improved on it – but I like how the colors turned out – it feels like a bright fun cheerful painting. I still have a long way to go with figure painting but I definitely saw some improvement from day one. I’m going to try my best to keep practicing and seeing if I can keep improving. Well Sandi, I hate that this has come to an end. I really enjoyed being at the workshop through you. Your painting did turn out pretty nice–you should be pleased. Donna, you’re too funny – I guess your workshop lasted longer than mine 🙂 – thanks for joining me through it! I know Carol – I was so excited about it – it was a little intimidating at first starting at the “top” but once the workshop got started it wasn’t intimidating at all. I HIGHLY recommend you take a workshop by him. He’s very laid back and creates a great atmosphere for his students. I guess the main thing I did to prepare for the workshop was to watch all the Charles Reid videos I had and read through his books – I just kind of soaked him up before I went and really focused on his style. I’m not sure if the other students that used his pigments found it easier or not. I purchased a few of the colors that weren’t on my palette (like cad red) but I ended up using pigments I was more familiar with and got good results. Yes, I did use and easel. I normally paint on a desk but most everyone painted from an easel at the workshop. I can paint from either but find I like resting my arm on a desk. I kind of go back and forth. It’s good to practice painting from an easel before going to one of his workshops. Thank you for your kind comments about my paintings. Thanks for stopping by! Sending another quick note, after reading my first message. I did not mean to imply that materials, books, etc.. enabled you to be so successful…you clearly have skills/ability that many of us do not have…just wanted any tips that might help me with this workshop.